Download the iNaturalist app and add your plants' and critters' observations to the Mount Tamalpais Biodiversity project or to the Banana Slug of Mt Tamalpais Project! Raccoons, gray foxes, squirrels, bobcats, coyotes, black-tailed deer and mountain lions all live on Mount Tam. Black bears and elk once wandered here as well, but they vanished as a result of hunting and ranching before the park was established. Many thousands of gray whales swim past the coast off Mount Tamalpais in late December through January, on their way to calving grounds in Southern and Baja California. Their numbers peak in mid-January. They appear again in March, April, and May as they head northward to feeding grounds in Alaska, peaking in mid-March. Late April and early May is the best time to see mothers and calves close to shore. About 1,400 humpback whales feed along the California Coast. Their graceful breaching and fin-thumping can be seen from Mount Tam in November through March. The park’s Steep Ravine cabins and campground offer whale-watchers the closest look at the ocean. A little farther away, the Coast View Trail and the western portion of the Matt Davis Trail are good alternatives. Bring binoculars. Birdwatchers can view more than 150 species of birds within or near Mount Tamalpais State Park. Red-tailed hawks, northern harriers and turkey vultures soar over the open grasslands, while pileated, acorn and hairy woodpeckers tap holes in woodland trees. The night is filled with the hoots of great horned, spotted, barn and screech owls. Look for oceanic and intertidal birds along the coast. The varied topography and soils of the park support more than 750 plant species. Hikers pass through open grassland, chaparral and oak-covered knolls, dense stands of Douglas-fir and California laurel, and deep redwood-filled canyons. In spring, Mount Tam comes alive with wildflowers. Hillsides are sprinkled with brightly colored California poppies, lupines, Douglas irises, goldfields and shooting stars. Spotted coralroot, fetid adder’s tongue and Pacific trillium hide in the deep shade of the forest. In springtime, look for pink-to-purple calypso orchids. Along Webb Creek, the Steep Ravine Trail leads hikers through a stand of coast redwoods. The sound of rushing water, the smell of damp earth, the sight of ferns and wildflowers are part of any walk beneath the redwood canopy. The size and longevity of redwoods helps them store more climate-altering carbon dioxide than other plants. Even old redwoods continue to grow, each year adding more carbon-filled wood than smaller, younger trees. After redwoods die, their rot-resistant wood holds onto that carbon for a long time. 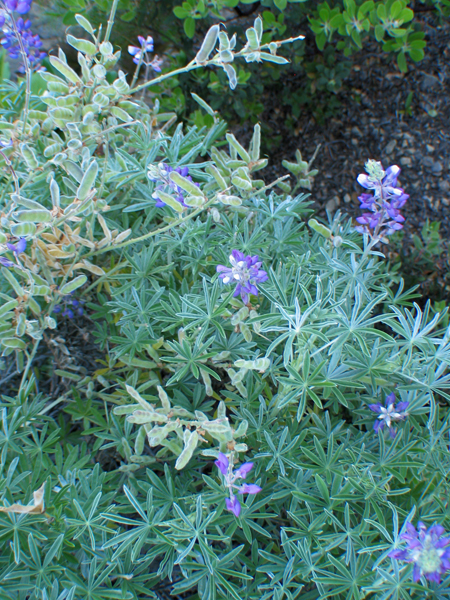 More information about local plants is available on the Friends of Mt. Tam website, where you can download color brochures on chaparral, rare plants, and flowers. Flowers of Marin is also an informative blog. Mount Tamalpais lies just east of the San Andreas Fault near the border of the Pacific and the North American tectonic plates. Pressures at this plate boundary have pushed the mountain (and the rest of the Coast Range) up from Earth’s crust, while erosion has left solid rock exposed in the highest peaks and ridges. Common rock types include shale, chert, graywacke sandstone, greenstone (pillow basalt), quartz tourmaline, and the easily identified green serpentine, California’s official state rock. The park’s highest point is 2,571-foot East Peak. The Coast Miwok lived on or near Mount Tamalpais, staying close to water sources throughout present-day Marin County. These Native Californians hunted small animals and deer, collected acorns, and gathered flora, marsh plants and shellfish. They made baskets and clamshell disk beads, trading them for locally unobtainable resources, such as high-grade obsidian from Lake County tribes. The Coast Miwok had a rich culture and a complex and intricate language. However, their way of life changed soon after the arrival of Europeans. Residents of San Francisco, whose population exploded after the 1848 gold discovery, used Mount Tamalpais for recreational purposes. Trails were developed, and a wagon road was built to the top of the mountain in 1884. The Mount Tamalpais Scenic Railway, completed in 1896, carried visitors to the mountaintop and the Summit Tavern, a hotel and restaurant. The slope from Mill Valley to the summit was so steep that the railroad had to negotiate 281 curves, equivalent to 42 complete circles, billing itself as the “Crookedest Railroad in the World.” In the section known as the “Double Bow Knot,” the track paralleled itself five times within 200 yards. In 1907 the “gravity car” was designed to transport visitors from the top of the mountain to the redwood-filled canyon of Muir Woods. Requiring only gravity and a brake, open-air rail cars carried passengers down the mountain to Muir Woods at an exhilarating 12 miles per hour. The railroad and gravity cars allowed sightseers to travel from Mill Valley to the summit, down to the Woods, and back to Mill Valley. The Scenic Railway’s famous gravity cars were popular until the advent of the automobile and the construction of Ridgecrest Boulevard in 1925. A gravity car replica is displayed at the Gravity Car Barn on East Peak. The Civilian Conservation Corps (CCC) was the most popular of the New Deal programs created by President Franklin Delano Roosevelt to provide relief and a speedy recovery from the Great Depression. From 1933 to 1942, the CCC put some two million young men to work on a massive building program in America’s parks and forests. Roads and trails, campsites, social halls, amphitheaters, and visitor centers numbered among the many features constructed by the CCC that provided the public with unprecedented access to the nation's natural and historic treasures. The CCC, however, was more than just a make-work program. It offered the enrollees a renewed sense of dignity and hope for the future. They were not only earning a living, they were doing something important for their country, and they knew it. At Mount Tamalpais, CCC workers built new trails, camping facilities, and the Mountain Theater. Also known as Cushing Memorial Theater, this huge outdoor amphitheater accommodates 3,750 people and is the site of the Mountain Play each spring. 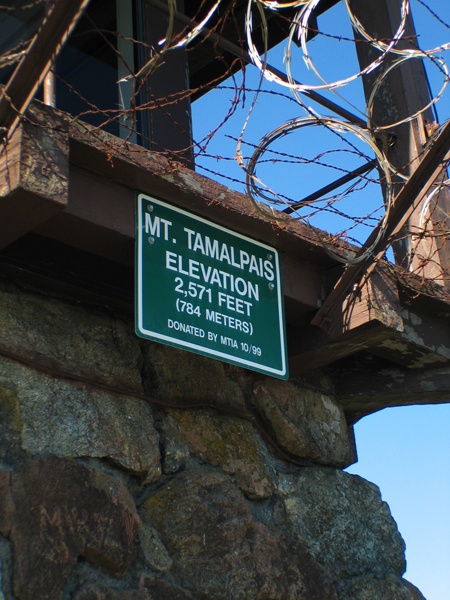 M embers of CCC companies occupied a Mount Tamalpais camp from April 1934 through April 1940; during that period, they built footbridges, camp stoves, 16 campsites, 32 day-use sites and the fire lookout tower at the summit. A self-guided tour of the CCC’s work in the park is available online. Over the years, millions have flocked to “Mount Tam” to relish the spectacular views and hike its trails. Generations of Mount Tam enthusiasts have worked hard to protect the mountain and keep it open to the public. The oldest of these citizen groups is the Tamalpais Conservation Club, organized in 1912. In 1928 William Kent, an ardent Marin County conservationist, and his wife donated 200 acres of land in Steep Ravine to help create Mount Tamalpais State Park. The park was later enlarged through the efforts of several hiking clubs, led by the Tamalpais Conservation Club. These organizations orchestrated a grassroots campaign to purchase additional land for the state park. Now one of the oldest and most popular units of the California State Park System, Mount Tamalpais State Park has grown to 6,300 acres. Completely surrounding Muir Woods National Monument, the park is bordered by Marin Municipal Water District land on the north and by the Golden Gate National Recreation Area on the northwest and south. Today, the Tamalpais Lands Collaborative, or One Tam, spearheads conservation efforts in the Mount Tam area. Its five partners—California State Parks, Marin County Parks, Marin Municipal Water District, National Park Service and Golden Gate National Parks Conservancy—are working together to address region-wide problems such as invasive species, plant diseases, climate change, wildfire and drought. One Tam also provides funds and person-power to improve park facilities and trails.